I have struggled with my weight for a good part of my life. I weighed 174 pounds at just 21 years old. I got married, had three kids and the rest of the story is a lot of weight gain over the next several years. I gained about 100 pounds over a period of 20 years. I had my first consultation on July 7, 2015, at Live Healthy MD. I like to call it the first day of the rest of my life. It was that day that I met the man I call “My Hero” – Dr. Fancisco Jacome. I know they always tell us that the patients do all the work, but this man’s love and passion for what he does is part of my success. Before I left that appointment, I had a paper that listed all of my appointments scheduled and what I needed to do. I decided, “It is too late to back out now!” Needless to say, the fear started to set in. My surgery was scheduled for September 9, 2015, two months after my first appointment. It never happens that fast, but I think God knew I would chicken out. Next on the list was the one-hour psychological evaluation with Dr. Connie Stapleton. I thought that this was going to be the easiest part of the process. She asked me if I was an emotional eater. I quickly told her "no, not all." Well, little did I know that YES, I am an emotional eater. Soon that need would not be met with food and that is where my struggle began. I lost most of my weight in the first seven months. I reached 176 pounds. I had to remind myself what they tell you “You lose about 60% of your weight from the surgery” and then it is time for good old fashion eating right and exercise to lose the rest of the weight. The weight was coming off rapidly, but emotionally I was not feeling it. I had to find another way to deal with stress and inner hurt other than eating. I will be honest; it was tough. 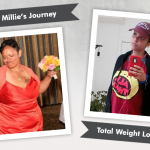 I didn’t know why I was not all happy and jumping for joy – I just lost 100 pounds! I learned through a few counseling sessions and attending the class that Dr. Stapleton offers that it is okay to have all those emotions, and that feeling them are healthy and necessary to stop using food to deal with them cover for them. Work through any emotional feelings that come up after WLS with a professional – they are real and very common after WLS. Websites like ObesityHelp.com are so very helpful. I am encouraged every time I get online and read all the stories. We can touch so many people that are struggling and ready to give up by sharing our own experiences. Sometimes a simple “You look awesome and you can do it” can make all the difference in the world. I am so thankful to everyone at Live Healthy MD from the person who checks you in, to Christina, the medical assistant who weighs and encourages you, Trish and Morgan are the nutritionists who give of their time outside of work to help patients by answering all of our questions, and to Dr. Connie Stapleton, PhD who has taught me more about myself than I ever thought possible. Learning that is much of the reason I have been successful. Last, but not least, my forever friend and surgeon, Dr. Francisco Jacome. He has helped me lift my head and fight on so many times when I was in tears. I could never thank him enough. All these people gave me the TOOLS that I needed and I gave the EFFORT that made this a successful journey. My favorite one was being able to go to Haiti twice on a mission trip. That was my dream forever. I couldn’t go because I could not walk without being in severe pain. Eight months after my surgery, I boarded a plane to Port U Prince, Haiti. I went on a 7-day trip, I walked well over 20K steps a day in the 98-degree heat and loved every minute of it. I was so thankful for my new body and life, words couldn’t describe it. 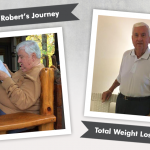 Before & After VSG with Robert, losing 121 pounds! 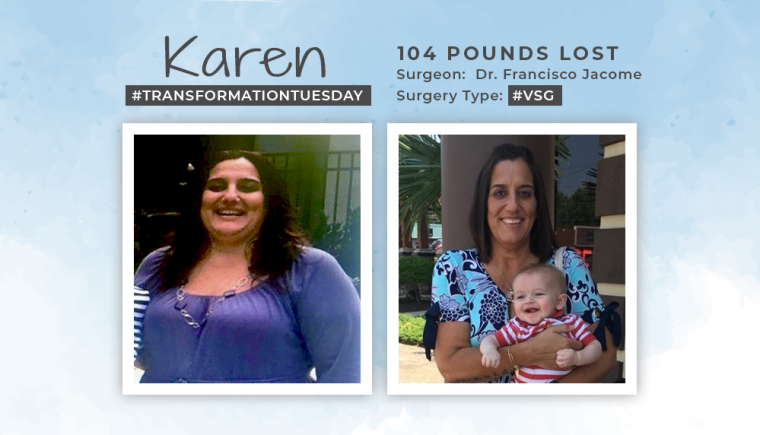 Before & After VSG with Millie, losing 97 pounds! 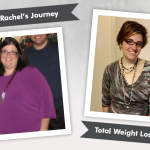 Before & After Duodenal Switch (DS) with Rachel, losing 180 pounds!